Enterprise Ireland has given Bord na Mona €688,000 as part of a programme aiming to help businesses transform. 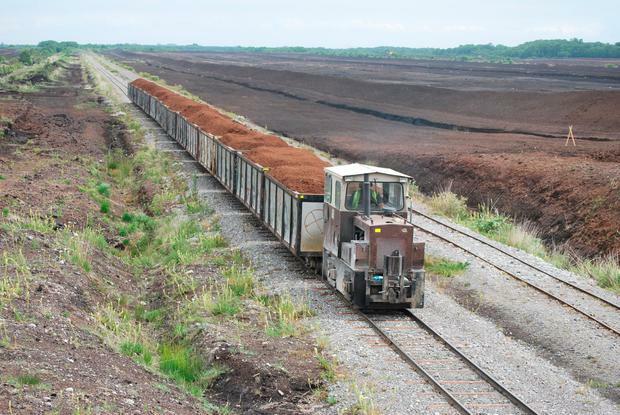 The money is earmarked for projects that will help Bord na Mona staff deal with the semi-state's move away from peat electricity to renewables. It comes under the umbrella of Enterprise Ireland's 'lean transformation' scheme, which is designed to "deliver company-wide transformation in culture and productivity performance" and "build capability and capacity in people and processes". Joe Lane, Bord na Mona's head of business transformation, said the money would be used to "build the capability for change". The company is planning to invest €1.2bn between 2017 and 2030 as it diversifies into areas including biomass and solar. It has said it will stop generating electricity from peat by 2030 - a plan that was criticised last week by some commentators who believe the transition should occur sooner. Lane says substituting biomass for peat is the "key enabler" of that plan. The company is hoping to use biomass generation to employ people in the communities where electricity is being generated from peat, as the transition will imperil many jobs. "One of the key responsibilities we have as a company is towards employment and communities," Lane said. "All of these projects, whether it's power generation or biomass, or in any of the spaces we're in, we ask how we can bring communities and the workforce forward as the country is moving in a zero-carbon direction." He said communities in places such as the Rust Belt in the United States or coal-mining areas in the north of England had been decimated by abrupt withdrawal of traditional industries, adding that Bord na Mona was trying to "responsibly manage our way through" the transition away from peat. It is also working on a replacement for the traditional peat briquette sold for home heating. The replacement will have a carbon footprint of "practically zero", Lane said. "We've had some very encouraging results so far developing a biomass alternative," he added. He added that the company is "tentatively, two years away from retailing the product. The initial trials have been very positive. It looks, feels, and performs the same." The company is planning a massive joint venture with the ESB in the area of solar electricity. It is currently engaging with communities about establishing solar farms on Bord na Mona land. The project aims to power the equivalent of 150,000 homes with electricity generated at sites in Kildare, Offaly and Roscommon. It is also examining the prospect of an investment in a wood pellet plant in the United States, which would be used for so-called co-fuelling. This is the process by which it is integrating biomass into peat electricity plants, with biomass to eventually replace peat. "Our preference clearly is that every ton of biomass that we can provide, we want to provide that indigenously," Lane said. "But we have to manage a transition and we need the access to biomass in order to move towards co-fuelling and to bring down the peat supply." The company is also working on a number of new wind energy projects. Lane said it is also looking at waste-to-energy projects. One waste-to-energy project is operational in Drehid, Co Kildare, using landfill gas to power the equivalent of 8,500 homes.